The Superior Glue Down Vinyl flooring requires self-levelling screed and a glue application for a permanent installation. Because the vinyl plank flooring is durable and moisture resistant, it can go anywhere. 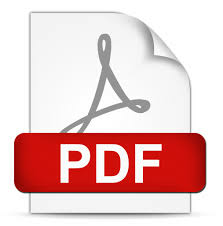 Composite vinyl is made up of several layers. It has a layer of vinyl, a layer of PVC, a filter layer, a decorative layer and a layer of clear vinyl on top to protect everything. 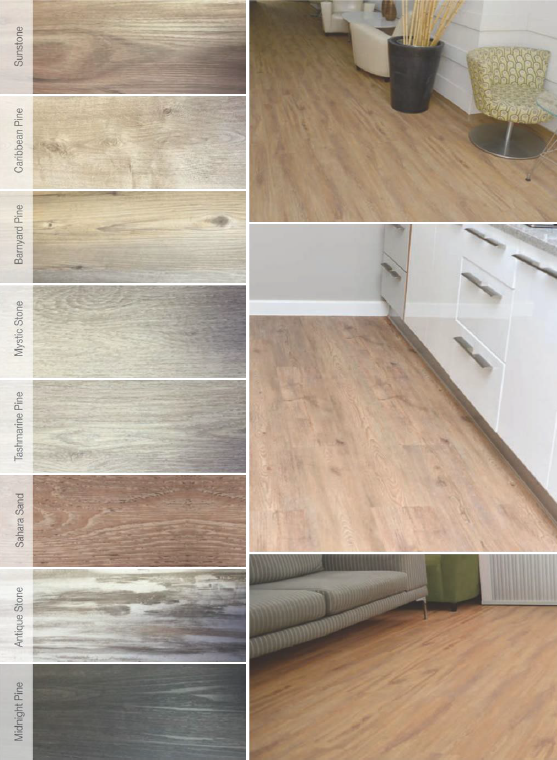 For best results, Luxury glue down vinyl planks should ideally be installed using a Vinyl Plank Flooring– approved adhesive, over a self- leveling screed substrate. 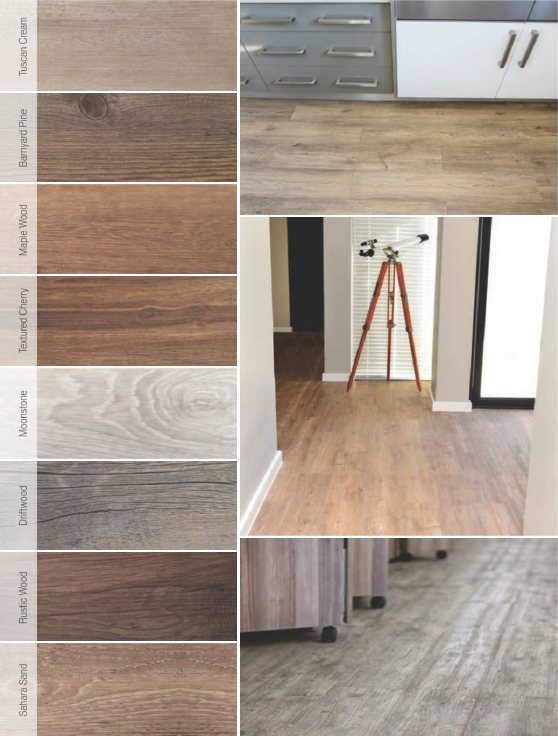 The durability and moisture-resistance properties offered by Luxury vinyl planks make them the perfect choice for almost all residential and light commercial applications. 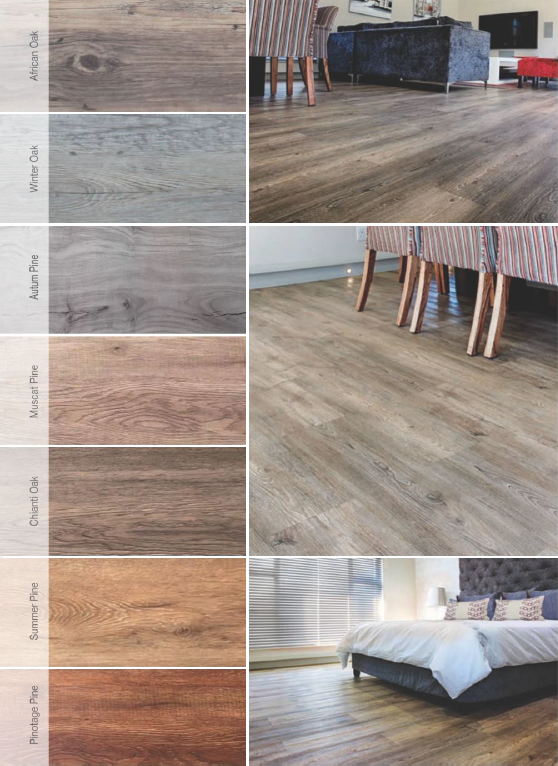 Vinyl Plank Flooring’s Luxury Glue Down planks offer an un-surpassed choice of natural wood effects and colours, all brought to life through the marvels of the print sheet. The clear wear-layer will ensure your new floor is protected from the rigours of daily living while ease of maintenance is ensured, thanks to the UV coating. VINYL PLANK FLOORING’S Premium Glue Down Vinyl flooring requires self-levelling screed and a glue application for a permanent installation. Because the vinyl plank flooring is durable and moisture resistant, it can go anywhere. 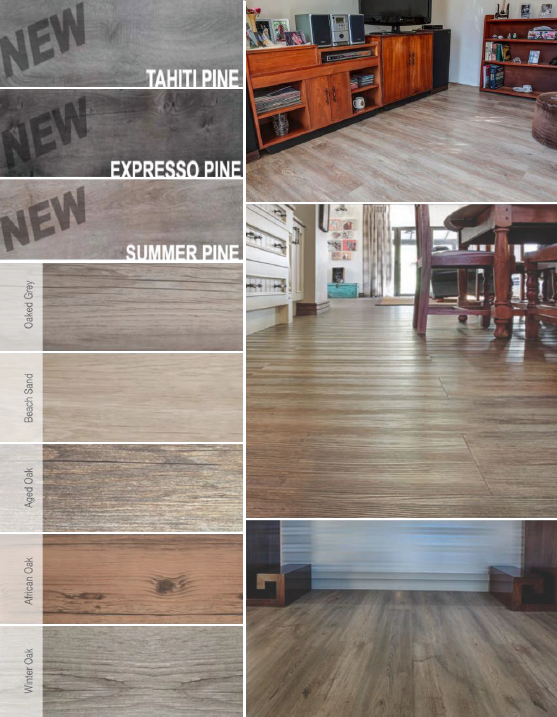 SmartCore – The luxury Vinyl Plank (LVP) supported by our unique wood plastic composite (WPC) engineered backing.